Fall is in the air! Although I am sad to see the summer pass by, the beauty of early autumn is always amazing, and it is a great time to get the family together for a portrait. This time I got to photograph the Mackey family: Steve, Sandra, and their two rambunctious boys. Sandra had told me that they had never had a professional family portrait done before, and so this was a great chance for them to spend some time together outdoors and get some pictures at the same time. Young boys don't tend to stay still for too long, so as much as possible I got them moving around. We picked a location along the "One Spot Trail" in Courtenay and it was a great place for the boys to explore. We mixed it up with some rough-housing with Dad and more quiet moments with Mom. We did actually get the boys to sit for a few minutes! 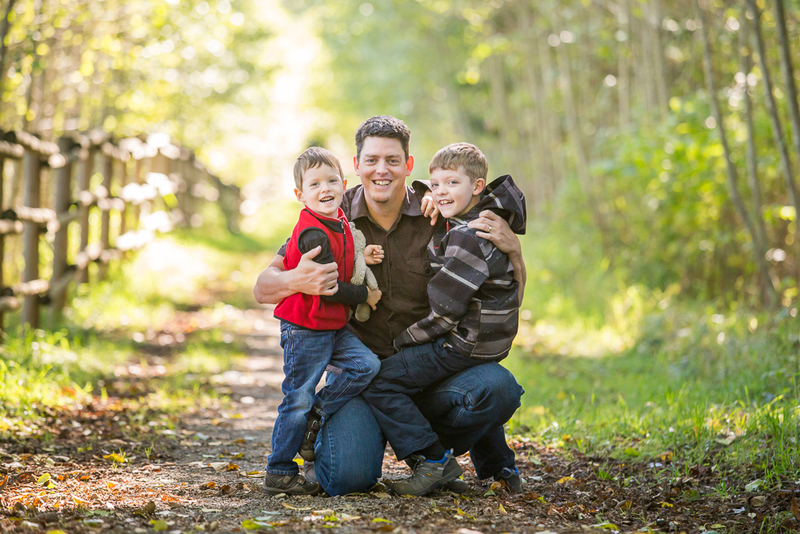 If you're considering a family photo session this fall, don't wait for the leaves to blow off the trees! I still have openings in October, so please contact me for more information. I would love to discuss how we can make some beautiful artwork for your home (and get some Christmas gifts taken off your list at the same time! ).